This luxurious seafront apartment with pool is located in the southern part of Drašnica surrounded by olive trees and sea right by the sea and beautiful beaches, the position of the apartment near the beach makes it ideal for families with small children and elderly people and for guests who are on vacation plane. The villa has 6 luxuriously equipped apartments for 4 and 6 people. This apartment with pool is located in the central part of the city next to the main square. It has 2 bedrooms, living room with kitchen and dining room + 2 bathrooms + large terrace overlooking the sea and parking. Located in the western part of the Makarska near the famous hotel "Park", located only 80 m from the sea and sandy beaches, close to the beach, restaurants, shops, bars and entertainment makes them ideal for guests who arrive by plane in Makarska. The apartments consist of one double bedroom + living room + kitchen and dining room in the living room + bathroom / WC and balcony. 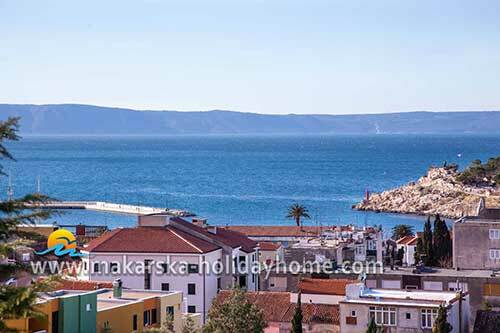 Apartment ZDRAVKO located in the west part of Makarska, near the famous hotel "Dalmatia" and near the beautiful sandy beach. The apartment consists of 2 double bedrooms + living room + kitchen and dining room in the living room + bathroom / toilet. 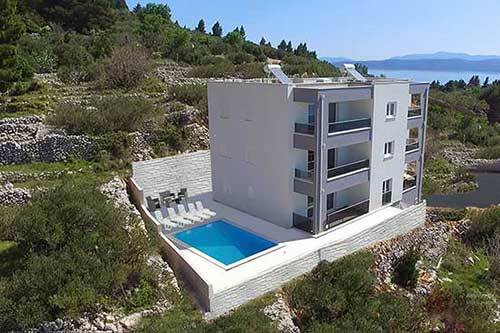 Apartment SUMIĆ is a new and luxuriously equipped apartment, located in the center of Makarska close to the beach and the well-known "Meteor" hotel, only 30 m from the sea and the beach. The apartment consists of 1 double bedroom + living room + kitchen with dining room + bathroom / wc and balcony. Ideal for a vacation for guests arriving by plane. Garage for a car. Apartment ANTONIA is located in the western part of Makarska, 150 m away from the sea and beautiful pebble beach and 500 m from the city center. The apartment consists of 1 double bedroom + living room + kitchen with dining room within the living room + 2 bathrooms + balcony overlooking the sea. 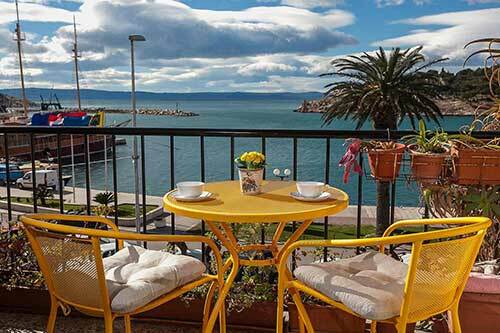 Apartment ANTONIA is located in the western part of Makarska, 150 m away from the sea and beautiful pebble beach and 500 m from the city center. The apartment consists of 1 double bedroom + living room + kitchen with dining room within the living room + bathroom + balcony overlooking the sea. 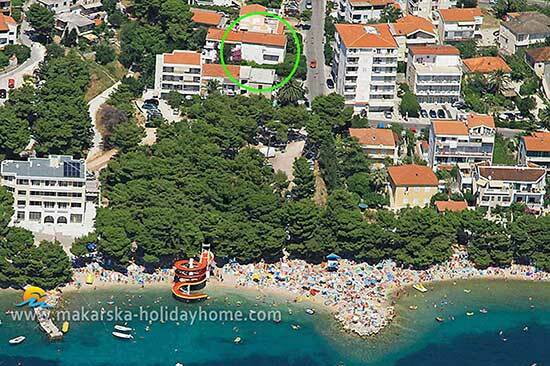 Apartment for rent is the center of Makarska, only 200 m from the center and 300 m from the beautiful sandy beach. Thanks to its location and the beautiful location in the center of town overlooking the sea is ideal for a family vacation. 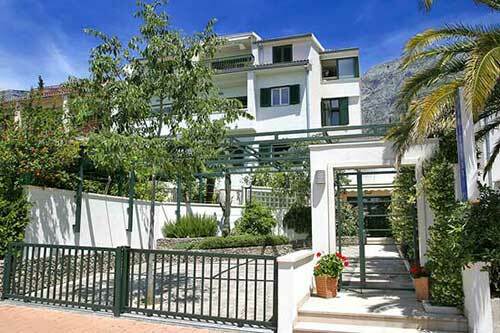 Apartment Marino consists of one double bedroom + living room + kitchen + bathroom / toilet and a balcony overlooking the sea.